At Anne Sexton Pilates we believe in the whole body principles and approach of Joseph Pilates Classical teachings. With that in mind we want to bring all our clients specialist classes to suit their particular needs. We are proud to bring you our newest specialist class “Sports Performance Pilates”. Whether you are a seriously seasoned athlete or a fair weather player, this class will bring your on pitch / on track performance to the next level. This class is targeted towards a whole range of athletes, from team sports athletes like GAA and Rugby players, to Runners and Triathletes and many more. Winter training can be hard on the athletes body, and Sports Performance Pilates will ensure you arrive to Spring with a stronger core, more efficient movement and agility, and a strong flexible spine. Our specialised Sports Performance Pilates classes have a strong focus on shoulder and hip girdle placement, hip stabilisation, and spinal flexibility. 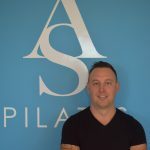 The principles of Pilates are core to the class, and class participants will receive personalised attention in a group setting, ensuring their individual Sports needs are met. Our Sports Performance classes have been developed by studio owner and Pilates Teacher Trainer Anne Sexton with Senior Pilates Instructor Matthew Cox, who’s specialised background in Neuromuscular Therapy. We will ensure your 2017 season training is in the best hands. 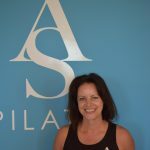 We look forward to welcoming you to Anne Sexton Pilates soon.